"Every owner, whatever their level of involvement, should be made to feel special and appreciated"
The value of owners and ownership is becoming increasingly appreciated by the wider world of horseracing. 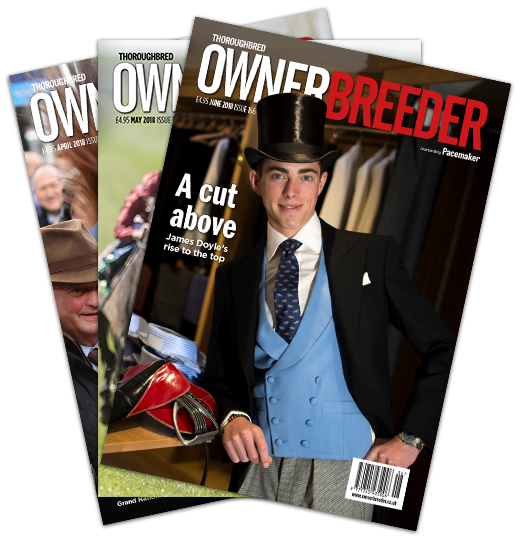 Since virtually everything about racing is quite clearly influenced by the number of owners and the extent of their involvement, it is reassuring that the importance of ownership has now become firmly established in racing’s front-line thinking. Certainly, the industry needs sufficient owners to sustain the right number and quality of horses for a fixture list that fuels the £12 billion that is bet annually on British horseracing, to say nothing of the importance of the horse population in ensuring racecourses remain in business and trainers, jockeys and racing staff can continue to ply their trade. The fact that the ROA has recently secured funding from the Levy Board to develop an ownership strategy sends a clear message that the whole of racing finally acknowledges this position. It is one thing that the soon-to-be-dismantled Levy Board has made this money available but another that it shows, for the first time, racing’s leaders are placing this all-important project into the hands of the organisation where it rightly belongs – the ROA. The need for such a strategy is self-evident. We can, for instance, take little comfort from the fact that lapsed ownership, currently at 11% annually, is running higher than new intakes at 9%; that there are now more owners aged over 80 than under 40; and that only 21% of active owners are female. 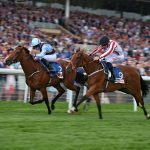 On the other hand, that there are nearly 2,500 registered owners without a horse in training might be seen as more of an opportunity than a dilemma, especially as the average field size needs to be increased in line with new media rights payments and an ever-expanding fixture list. The strategy that has been adopted, and ratified by all of racing’s stakeholders, is one that achieves the twin objectives of retention of existing owners and recruitment of new ones. Not every owner can expect to have a good horse or even a winning one, but every owner, whatever the level of their involvement, should be made to feel special and appreciated. It is true that the ROA’s Gold Standard initiative has been increasingly successful in encouraging racecourses to give owners with a runner a good day out, however their horse performs on the track. Also, we have seen great improvement in the way trainers now communicate with their owners and how the administration attached to being an owner is becoming much less complicated, while syndicate managers continue to become more professional in their approach. There is, however, much more to be done and the ROA, armed with a Levy Board budget, has grasped the challenge with both hands and is working closely with racing’s stakeholders to continue to enhance the ownership experience. It is through owners themselves that the most positive way of conveying the attraction of racehorse ownership can be achieved, and this was confirmed in the results of the Owners’ Survey undertaken in 2016. To this end, we will continue to work closely with owners to understand what they want, need and value from their involvement in racing, and to ensure that the approach that we take satisfies those requirements. The future strategy will be shaped by owners’ voices and over the coming months we will be ensuring that as many voices as possible are heard up and down the country. As existing owners, the more we think about our own experiences, the more it becomes evident that there is an appealing simplicity in keeping the owner’s voice at the heart of our developing strategy as it is applied across all levels of ownership and over all geographical areas. If racing wants to increase the number of horses in training, then the retention of owners, and the enhancement of the ownership experience, is critical to achieving that goal.